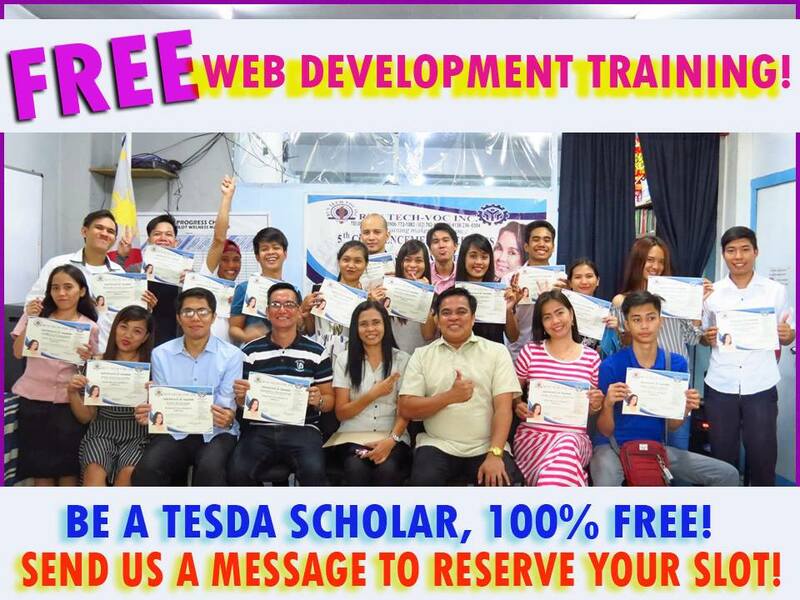 100% FREE TESDA TRAINING OFFER! ATTENTION! Caloocan, Malabon, Navotas, Valenzuela Area (CAMANAVA AREA) RVN Tech-Voc Inc. Malabon is looking for students for their FREE WEB DEVELOPMENT TRAINING (14 days) and Hilot (Wellness Massage) NC II. 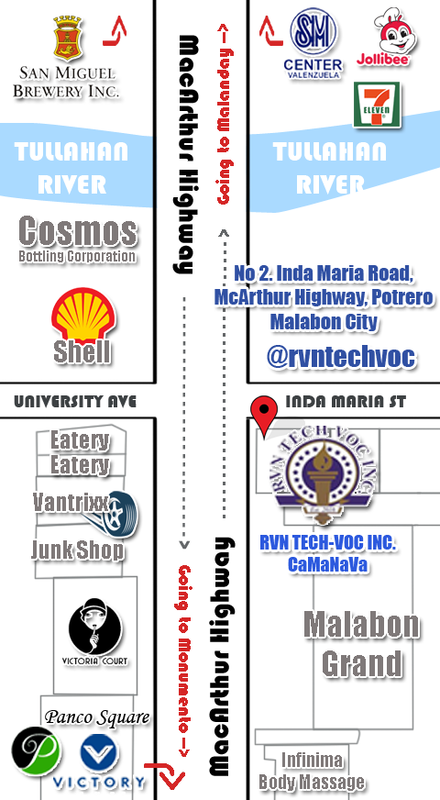 If you're interested to enroll, Please come and visit RVN Tech-Voc Inc. Malabon office to officially register. Opens Monday to Saturday (except Holidays) from 9am to 5pm.